I am a day late for the Making Love Monday post but I decided to post it late rather than wait until next week. Lately, I’ve been reading a book that has changed my viewpoint or perception of people and my relationships with them. Anytime you can read a good book that changes your thought pattern for the better, it’s always worth sharing with others. 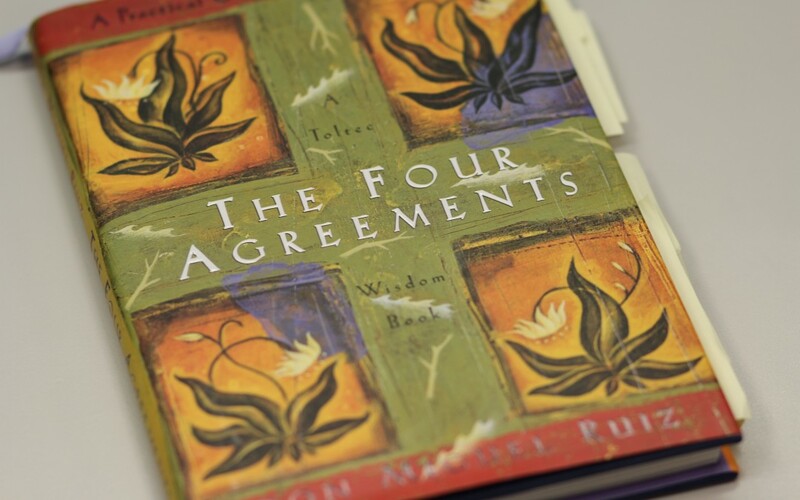 The book titled: The Four Agreements by Don Miguel Ruiz is a must read for everyone, male or female, that’s looking for a practical guide to personal freedom. I purposefully did not go into detail about the four agreements because you need to buy this book and read it for yourself. Upon reading, my eyes were opened to new possibilities for living life. Number 2 has been one of my greatest challenges to overcome especially during the inception of this blog. I of course was ecstatic to have the courage to start this journey but I quickly discovered that SOME of those I thought would share in the joy with me (family members, friends, colleagues, etc) were silent. A muted voice to my happiness. This seemed unfair and was very hurtful, but understanding that nothing others do is because of me and that what others do is really a projection of their own realty and their own dreams, I was able to turn that disappointment into a celebration of sorts because I realized that I became a reminder to them, a mirror of their dreams gone unresponsive, a reminder of their fears. I realized that they actually admired my courage to go forward with the blog, but in that same moment my courage became a reminder of their fears of not starting or doing something they’ve always wanted to do. You see, it wasn’t about what I was doing they had a problem with, it was about what they weren’t doing for themselves that became a problem for them. Whew…this revelation has been so liberating to me! Some folks just can’t celebrate with others and I get it now, I’m over it, and I forgive them even if they didn’t ask me to but I need to keep my mind and spirit free. On the flip side I also realize that some simply don’t care what is going on in other people’s lives, or they only care about things that are important to or beneficial to them. I wish you much Love, Joy, and Laughter in your Journey and I hope that you read the book. Tomorrow is my anniversary and I could not be more happy to be married to the sweetest and most compassionate man (along with my dad) I’ve ever known. We’ve been married for 3 years but together for 5. Yes I know many of you are saying to yourself. “Just give it some time lady, he will change or your feelings will change.” But I beg to differ. What makes me so sure? Because this isn’t my first shot at love. I was married for 16 years before and I could never have written the words I just wrote above about him even after 16 years. That to me speaks volumes about getting it right the second go around. You see the first time I was younger, immature, and more emotionally unstable. I wasn’t looking for a husband per se (although at the time I thought I was) I was actually looking for a father figure, someone who could take care of me, make decisions for me, and pretty much guide me through life. I always grew up feeling that I was not very smart, and very unsure about who I was. I guess you can just call it insecure. When you are insecure, you tend to attach yourself to people who either feed your insecurities by allowing you to stay in the fragile state by making you feel like a victim and they will protect you and make choices for you. The “It’s okay baby, I will take care of you and protect you from the bad people.” I thought my ex was my security blanket. He would tell me what I needed to become in life despite what I wanted to be, how I needed to think, and he tried to mold me into the image of the women in his head. The problem was, I began to grow, to mature and to see things more clearly. Eventually I realized that I did not marry my life partner, I married an amplified version of a father figure. Not like my dad, who has and is always supportive and caring. This man was something very much the opposite. He was controlling, and I was stuck. Or was I? I already had one child with him and every now and then I would see tiny glimpses of hope in the marriage, but that would quickly flicker a fade whenever I did something he did not approve of. I started going to church and grew really close to God. I was at church at least 3 times a week not including Sunday. I read the bible like it was the last edition of Harper’s Bazaar. Things were suppose to get better if I prayed I thought. Then I had the not so bright idea that maybe another child would make things better, maybe if I had a boy this time things would improve. I got pregnant and had another beautiful girl. Things again seemed good but only for a short time. I was finally seeing that my reality was going to be to live life as a single mom with two kids. I had to divorce my father figure so that I could marry my Husband. You see I really had never been married in the true sense of the word. I had only had a figment of my imagination of what marriage was supposed to be. I had to find my Husband and get rid of my father. Again I must stress that my ex was nothing in comparison to my father, but for analogy purposes I am using the term father. A good man always supports you. a good man will always support you in what you want out of your life. He will never discourage you or make you feel as though you can’t do what you set out to do. He will be beside you every step of the way, cheering you on in your victories and comforting you during your defeats. He will let you be free to be you. He will not be a dream killer. A good man will inspire you. a good man will not only be supportive as above, but he will inspire you merely by being the man who he is. If he is ambitious, goal oriented, and hard-working, this will only inspire you to be a better. He should have drive and be about taking care of business no matter what his profession. A good man will work to keep your trust. a good man will always be trustworthy. No one should be able to tell you about your man doing anything shady or inappropriate because that would just simply be untrue. And a good man will want you to be comfortable and confident in knowing that he is trustworthy. You should never have to question his whereabouts or late night phone calls, etc. Ladies you know what kind of man I am talking about. He will understand that trust is not just handed over to someone, it has to be earned, and then it has to be kept. A good man will always make you feel beautiful. a good man will understand that making you feel beautiful does not just mean telling you . It means making you feel beautiful by the way he looks at you, touches you, and treats you. He should look at you as if you are the best thing since Skippy peanut butter. I know that is so cliché but you understand where I am going. When you see yourself as fat and unattractive, he should be asking you to put on his glasses because he doesn’t see what you see at all. He should notice small details in your appearance like your new nail polish color, a new outfit, hairstyle, or that you have lost some weight. A good man will understand that whether you are in your sweatpants with no makeup and your hair pulled in a bun sitting on the couch or in your evening gown heading to an office party, when you love someone for who they truly are, everything about them becomes beautiful. A good man does the little things. a good man has your back when life throws its curve balls your way. Do you need the kids picked up? Do you need him to pick up dinner because you have a deadline to meet and have to work late? He knows that you love pedicures, so he grabs a gift certificate from your nail salon and tells you to treat yourself. He knows that you absolutely love lemonheads so he surprises you with a box of them. He understands that it is the little things that matter most to women and he makes sure he does it. A good man never crosses the line. a good man will never turns a disagreement or argument into a personal assault time against you. He should never call you out of your name or put his hands on you. A good man will remain calm and focus on the topic at hand and never go to bed angry. A good man will open up to you. a good man will find a way to express his emotions, fears, and even his inner most desires no matter how uncomfortable it makes him. A good man, knows how to strike a balance between what he wants to keep private while not hiding things that are important for you to know. He also knows not to keep things bottled up inside. A good man will stand by you. a good man commits his love and time to you without rules or requirements. He understands that there will be good times and not so good times. There will be challenges and unexpected situations that will come. But he will always stay by your side and be your teammate through it all. Any man can be by your side on the sunny days. The real test of character is whether or not he will hold the umbrella over you during the stormy days. A good man never lets you forget how much he loves you. a good man will show affection towards you. He will kiss you just because, he will give you a love touch out of the blue. A good man will make you feel loved, wanted, and appreciated. a good man loves his mother. After all if a man doesn’t have a good relationship with his mother then how do you expect him to have one with you? Mother’s are their sons first teacher about how to love. My list was not this organized but the headings were there. I still have the note safely tucked away to remind me of how I got to where I am now and the road I had to travel. And as my life’s story goes on, a short time later he came. My soul mate, the man that I mapped out in my checklist. When he came, I knew it was him. Not immediately because I had to be sure that I really got it right this time. My checklist had to be tested. He passed, not because I gave him the answers, not because I had to tell him how I needed to be treated, but because he was the man God created for me a long time ago before I even started entertaining his conversation. He was the man that God spoke to my thoughts about as I sat and wrote down my list. He was made for me and hand delivered to my heart. I will keep him there without a doubt in my mind because he after all is MY HUSBAND, MY GOOD MAN and not my father. Happy making love Monday everyone. 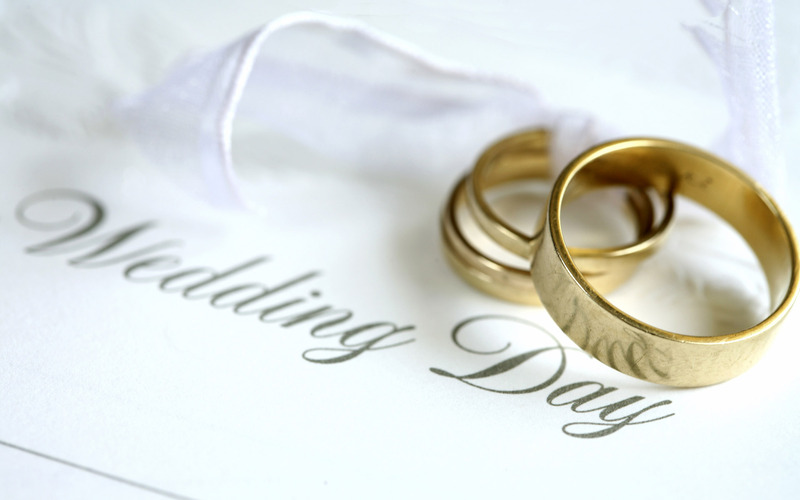 June is known as one of the most popular wedding months of the year. So before you head down that alter or to the Justice of Peace to say your I do’s or if you have already been down one of these roads, here is one of the top marital problems that may or will maybe someday affect your marriage. It is my hope that having this info in your storehouse, may give you the upper hand you need to intervene in marital concerns before they can become a problem. Lack of communication is probably a deal breaker in any marriage. After all if you cannot communicate properly then neither of your desires or needs are being met. It’s a given that men and women speak differently and what may take a women 30 minutes to express, a man can express in half that time. The problem is, most of the time the details are left out or the overall message is lost in communication. On the side of the women, the man is listening for about the first 10 to 15 minutes, but after that you start to sound like clanking symbols and everything you say sounds like gibberish. So the communication is sometimes attempted but failing in its delivery. After several failed attempts to communicate, the couple stops communicating altogether. What to do? First admit that you both have a communication problem. This admission will remove the stigma created by the breakdown and will open up a new line of communication. Don’t repeat your past actions. You and your mate must not go back to the same ineffective ways of past, otherwise you will be right back to the problem. Set aside talk sessions. Carve out a period of time daily or weekly to have your pow-wow sessions. Much longer than this could cause things to grow into numerous issues that will require longer discussions. Bottom line, don’t let things build up! Turn off cellphones, television, the kids, and any other distractions that could potentially break the flow of your conversation. Don’t interrupt each other. Decide which one of you is going to have the floor first and the other should listen intently to every word your mate is speaking. remember good communicators are also good listeners. This will be a challenge because some of the things your mate may say, could strike a nerve cord, or simply be untrue. Hear them out completely, remember you will have your chance for as rebuttal. Always begin your rebuttals with the words, “So what I am hearing you say is…” This is the best start to communication because nobody can tell you how you process words. Saying it, will also diffuse a potentially heated moment because you are letting your mate know how you processed what they just said. It lessens the defensive element that some conversations can create. Always end your conversation on a good note. Never let your meetings end in arguments. Always end with a hug, a kiss, or kind words to one another. If the conversation did not reach a turning point and you realize another chalk talk will be necessary, try to end at a place you both can agree. that a continuation of the matter will be needed. Set a time limit. Don’t sit and talk so long that you both grow weary and begin to think about what you are missing on tv, social media, your phone, or the kids begin to get restless and start interrupting you. Agree on a time limit from the start and either set a timer or keep track another way. The saying about you can’t rush love is true in one sense but timing is key in this sense.